Presented by Jane Garvey. 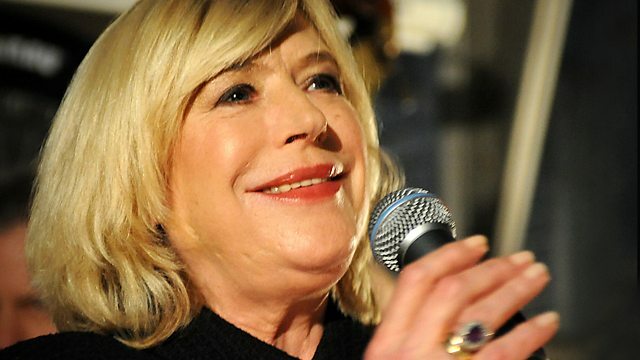 60s legend Marianne Faithfull on high heels and that voice, Jo Brand on why she hates crying in public, and would you share a bed with your pet? Presented by Jane Garvey. Sixties' legend Marianne Faithfull on high heels and that voice. Jo Brand discusses her dislike of crying in public. As part of our Women in Business series, we explore whether women are less likely to take risks than male counterparts. Men who abuse their wives or partners can be offered places on programmes to prevent domestic abuse: we ask what's the evidence that they work. Dramatic weight loss and the unforeseen impact on people's lives - one dieter describes how it led to separation from her husband. And pets in bed - would you share yours?